You are involved in the industry sector, either in pharmaceutics, cosmetics, agro food, medical robotics, but also in high technologies and production processes. Pharmaceutics: Class II or Class III Safety Cabinets, Isolators for pharmaceutical applications, Horizontal Airflow Cabinets, Laminar Vertical Airflow Modules, PCR Cabinets, and also the range of equipments adapted to automated production processes and analysis: Class II Safety Cabinets for liquid handling or cytometry applications, or specific Laminar Airflow Modules. 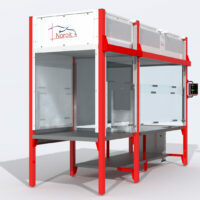 Cosmetics: Laminar Vertical Airflow Modules, Horizontal Airflow Cabinets, Class II Safety Cabinets. 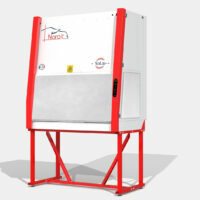 Agro food: Laminar Vertical Airflow Modules, Horizontal Airflow Cabinets, Class II Safety Cabinets. Traditional Industry: Laminar Vertical Airflow Modules, Horizontal Airflow Cabinets, isolators for industrial, dust free applications. The Noroit wide range of products will suit your needs of manipulations and users protection.